FINT, the First International Network on Trust, has done a number of workshops trust in inter- and intra-organizational relationships. FINT is a network of scholars from various disciplines doing research on trust. In the past decade, issues of trust in inter- and intra-organizational relationships have become more important on the agendas of organizational scholars, due to changes in the social structure of societies, economic exchange relations and organizations. Deteriorating binding power and norms of reciprocity within and between organizations, reduction of hierarchical relations and sanctions for deviant behavior in organizations and other developments have fostered interest in cooperative behavior and trusting relationships. In networked organizations, organizational performance becomes increasingly dependent on trustful relations. A related development is the globalization and virtualization of markets and social relations within and between organizations. Trust is imperative to constructive social interaction in society and to value creation in economic relations. 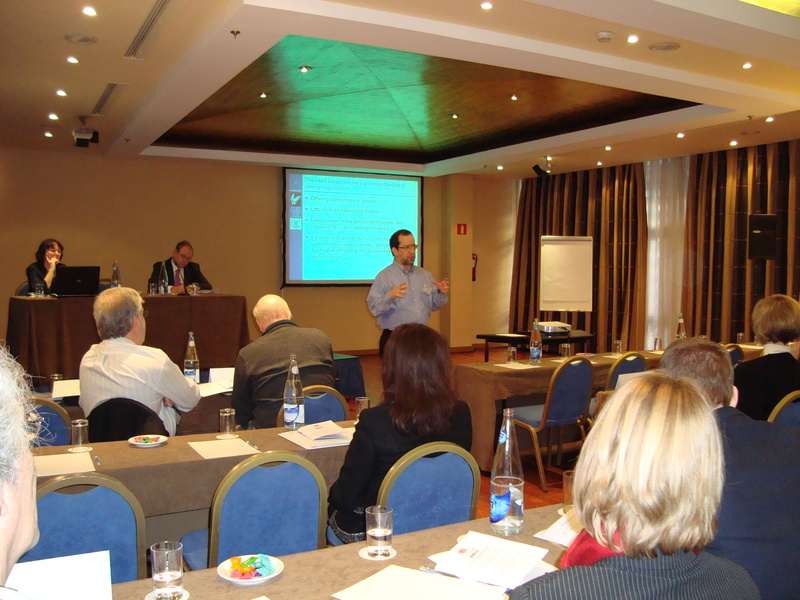 On January 28 and 29, 2010, FINT had its 5 th EIASM workshop on trust within and between organizations in Madrid, Spain. It brought together researchers from 24 countries. Sim Sitkin discussed the formation and dissolution of relations of distrust. Distrust, he emphasized, is not just the opposite from trust. Distrust is a social relationship that can be clearly distinguished, from “not trusting”. If one person does not trust another actor, the reason might just be a harmless lack of interest or even mutual lack of interest. Distrust brings about a social relationship in its own right and unfolds a dynamic of its own. The dynamics of distrust can turn into a spiral of mutual distrust, conflict and escalation, a vicious circle that is difficult to break. On the other hand, the dynamics of increasing mutual distrust can be interrupted and measures as to establish trust are implemented, as Sim Sitkin argued based on a case study of judges and the administration. Ranjay Gulati presented a second keynote “Trust in inter-organizational relations: State of the Art and promising directions for further research.” Gulati discussed open questions and potential avenues of further empirical research such as asymmetrical trust relations. Trust research has focused on relations of mutual trust and mutual lack of trust, but only little empirical research has been done on trust relations where one actor has faith and trust and the other actor is indifferent or distrusting. Sirkka Jarvenpaa applied the issue of trust to a high risk situations and the specific problem of terrorism. Her keynote “High risk inter-organizational collaboration: When Trust becomes (more) irrelevant” is one example of papers seemed to reflect the authors’ increasing doubt in the relevance of trust. Does trust become less relevant or irrelevant when it comes to the combat of terrorism in a global society? Does trust become irrelevant because terrorism remains a constant threat, for example, when we take a transatlantic flight or enter the underground in one of Europe’s metropolitan areas? Or is it appropriate to speak of “misplaced trust” when secret service trust another person who presents himself as an expert and then turns out to be a double agent and suicide bomber? The discussion showed that Sirkka Jarvenpaa’s view was very controversial. Critics made clear that trust can well be misplaced, and Javenpaa’s example of the misuse of trust within secret service networks can be interpreted as example of misplaced trust in the context of secret service dealing with issues of security rather than “irrelevance of trust”. All three keynotes showed that trust researchers in FINT do share key ideas about trust – like the concept that a trust relationship must have a trust giver and a trust taker, a distinction between interpersonal trust, institutional trust and systems trust and the importance of trustworthiness – but concrete meanings of trust and trust’s relevance across contexts was controversial. 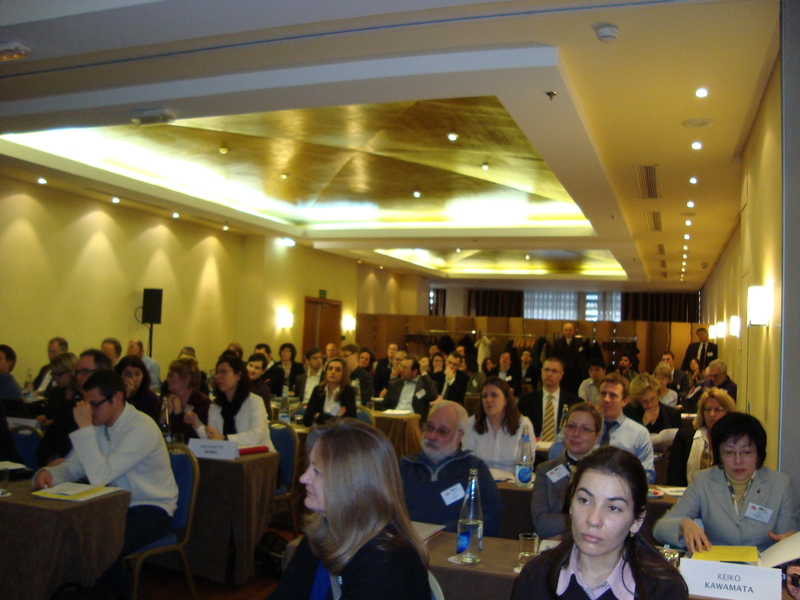 The presentations included titles such as “Intercultural Trust and Trust-Building. The Contexts of Adaptive Learning in Acculturation” (Peter Li), “Trust prototypes in Arab-German Business relations” (Elias Jammal), “Playing Good Cop – Bad Cop: How trust and Control can be controlled in an Alliance” (Anna Brattström and Anders Richter), “Do Reputation systems undermine cooperation?” (Ko Kuwabara), “Online Reputation Feedback and Reputation scores as means to overcome trust problems?” (Chris Snijders, Uwe Matzat and Marcin Bober), “Back to everyday managerial life: Drama, Game, Fight” (Dominika Latusek, Motty Sasson and Paul Vlaar), “Eat, drink and negotiate? The role of dining during negotiations on trust development and value creation” (Lakshimi Balsachandra) and “Location, the development of swift trust and learning: Insights from two doctoral summer schools” (Mark Saunders, David Bowen and Richard Slack), “Trust as a context phenomenon: Some evidence from two research contexts” (Finian Buckley and Angelos Alexopolous), “Trust me, I’m a Politician: Trust Repair efforts in the wake UK 2009 expenses scandal” (Graham Dietz and Nicole Gillepsie). One the one hand, a large workshop can be very helpful to get a broad overview over a field of research. On the other hand, fewer tracks and a selection of combined with more conference materials online might have been even more helpful. Some presentations represented a work in progress rather than finished studies, other presentations had to cope with a rather small audience. The 5th EIASM workshop on trust reflected a business administration, organization and network perspective on trust more than a view on trust issues and trust problems in economy and society. The focus was on a micro and meso perspective more than on a macro perspective, and the perspective was that of business administration, organization, network and psychology scholars more than those of other academic disciplines. Trust was discussed as a quality of social relations in business contexts within and across formal organizations. However, social relations within and across organizations have a specific life of their own. As researchers emphasize, trust does matter in the organizational contexts, but there are also limits to trust that are characteristic for organizations and organizational networks. For instance, the potential for trust is limited when it comes to hierarchies, reputation, control, game, drama and fight at the negotiating table, and when a weary, skeptical attitude becomes important that is so characteristic for the risk adverse behavior in organizations. On the internet, by contrast, people emphasize openness, authenticity, responsive behavior, a willingness to collaborate in an informal atmosphere outside of organization and the quality of content as indicators of trustworthiness, and institutional embeddedness with regard to law becomes more important. People online also look on organizations and organizational networks, but their perspective is a outside perspective and a critical check on the compentencies, benevolence and credibility of organizations and a stronger emphasis for the public good than in the context of formal organizations. So, I wondered a little bit what a workshop on trust would be like if the title went “workshop on trust in economy and society”. Would there be speakers raising doubts in trust’s relevance? Or do we live in an increasingly distrusting society? By definition, trust involves positive expectations, a psychological predisposition to make oneself vulnerable, to take a risk and to bear some uncertainty of being damaged, even though trust is anything but an invitation to deception or damage on the side of the trustor and an effort to communicate one’s trustworthiness on the side of the trustee. Hence, the doubts concerning trust’s relevance might be a result of the focus on trust within and across organizations at the Madrid workshop. On the economic and societal level, trust matters as never before: Take trust concerns in technology such as nuclear energy and the internet, take trust in experts, institutional trust like in jurisdictional procedures, or systems trust such as trust in the value of the common European currency and institutions responsible for the Eurozone’s future. Take the inflationary use of the word “trust” once Politicians are in lack of trust. Take the distrust in ordinary people on the side of the state assuming they either do not pay their taxes or betray the welfare state. Trust in the context of religion is another important field where I would expect valuable contributions to the debate on trust. Or take more theoretical problems like how trust emerges, how trust can be repaired, how stable a social order can be under the condition that actors just do not trust, and how trust can be established and maintained in an increasingly governed world. The forthcoming first volume of Journal of Trust Research (JTR) is another indicator that trust research has a bright future. P.S. This blog post comes very late because shortly before Madrid we lost our beloved Grandmother. I was still in a state of shock when the workshop took place, and I apologize for posting it so late. 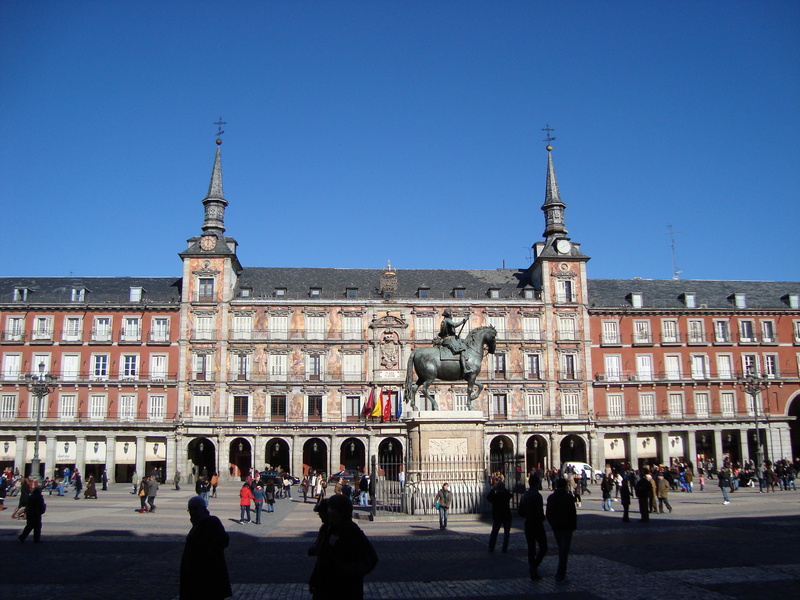 But Madrid is such a beautiful city that I will certainly come back in the future. Dieser Beitrag wurde unter English, Konferenz/Workshop, Soziologie abgelegt und mit conferences, distrust, organization, trust verschlagwortet. Setze ein Lesezeichen auf den Permalink.